Come show your imagination at the Caldwell Fine Arts Chalk the Block contest! 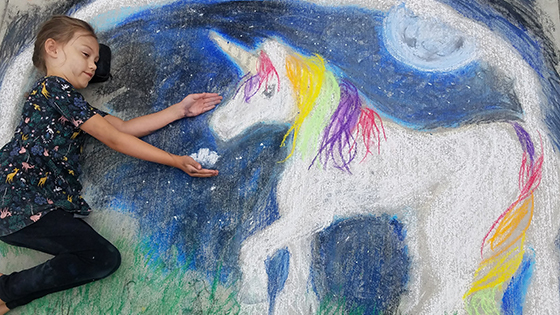 Indian Creek Plaza comes alive with chalk images showing the artistic talent of community members of all ages with a theme of “Pure Imagination.” This contest has a twist…a real person must be incorporated into the drawing! We’ll award prizes in 3 age categories. Preregistration is highly recommended, as space is limited. Come show your “Pure Imagination” at Chalk the Block 2019! A LIVE person must be in the final entry!